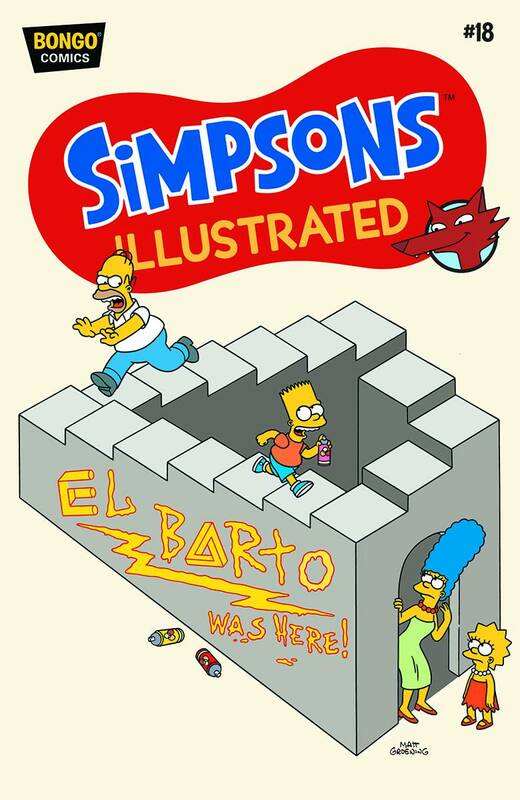 Simpsons Illustrated #18 is the eighteenth issue of Simpsons Illustrated. It was released on July 29, 2015. 2.3 Angry Dad in "The Roller Skate"
"Hail to the Cat!” is the story of how one political animal takes on city hall and wins. However, when Snowball II becomes mayor, Springfield gets a crash course in history repeating itself and may very well be responsible for yet another British Invasion. And when Chief Wiggum gets a taste of his own chili, made from the merciless peppers of Quetzlzacatenango, he experiences a viaje misterioso of his own in “Chili Chili Bang Bang.” Plus, Bart battles his dream self, and Angry Dad accidentally steps on his son's roller skates and rolls out on a very rolling adventure!" Main article: Angry Dad in "The Roller Skate"
Modified on July 25, 2017, at 08:44.